The International Monetary Fund (IMF) Monday called on Caribbean countries to do “even more” as they seek to become resilient to natural disasters. Jamaica’s Prime Minister Andrew Holness will deliver the feature address at the conference that is also being attended by several Caribbean Community (CARICOM) prime ministers, technocrats and international delegates. Lagarde told the opening ceremony that natural disasters, including hurricanes, have caused widespread damage globally and in the case of the region, Hurricanes Irma and Maria devastated parts of the Caribbean last year, “causing so much destruction and suffering”. She said more recently, Hurricane Michael wreaked havoc on Florida. The IMF official said that equally important is adaptation and strengthening resilience, adding “this has special resonance in the Caribbean region, which is on the front line of climate change. “Its islands are among the top-25 most vulnerable nations. And their small size implies a big cost. Disaster damage in the Caribbean is six times more than in larger states,” she said, noting that in the United States, Hurricane Katrina generated losses of US$160 billion back in 2005, about one per cent of gross domestic product (GDP) as compared to what Dominica experienced last year where damages after Hurricane Maria exceeded 200 per cent of GDP. She said that it follows that building resilience to natural disasters and climate change in this region is a necessity, not a luxury. Lagarde said that building resilience to disasters and climate change rests on three complementary pillars, including securing structural protection, through resilient infrastructure; adequate land use, zoning rules, and building codes; and early warning systems, financial protection, through insurance or other risk-sharing mechanisms to reduce the cost of damage done by disasters when they occur and emergency response, by ensuring rapid access to financing and contingency plans to help with recovery after a disaster. She reiterated that Caribbean countries have made some good progress in these areas, including by strengthening regional cooperation for rapid disaster response and creating the Caribbean Catastrophe Risk Insurance Facility. 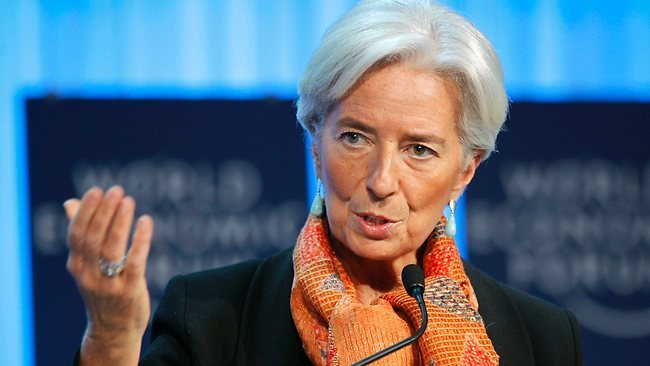 Lagarde said despite the benefits, there are numerous reasons why these kinds of investments are lagging in the region. She said on the domestic front, many countries in the Caribbean have high public debt and limited fiscal space. “On the international front, the lion’s share of funding is for disaster assistance, not financing for adaptation. At the same time, cumbersome administrative procedures combined with capacity constraints complicate access to financing from climate funds. “Political economy challenges have also played a role: governments sometimes shy away from long-term strategies that involve significant up-front costs with benefits that come much later,” she told delegates. She said against this backdrop, “what I think is needed to move forward (is) collective effort to move the needle from an overarching focus on recovery following natural disasters toward building longer-term resilience. She said countries would take the lead, they would develop an umbrella disaster resilience strategy, with input and support from the international financial institutions. Lagarde said that such a strategy, integrating micro and macro reforms, would, in turn, need the support of the international community. “Climate change, after all, is a global problem requiring global action. My hope is that this kind of strategy will generate the credibility needed to entice low-cost and grant financing from development partners, climate funds, and international financial institutions. “To operationalize this idea, I propose using two pilot countries for which supporting work is already underway, including a Climate Change Policy Assessment (or CCPA),” she said, urging the conference “to deliberate on this approach and help us formulate a way forward”. She promised that the Washington-based financial institution will always seek to be a “reliable friend and partner” to the Caribbean, adding “we are helping build capacity and strengthen public financial management, to better manage fiscal resources and address disaster risks”. Lagarde said in response to a request from the Governor of the Eastern Caribbean Central Bank (ECCB), Timothy Antoine, and echoed by the G7, staff of the IMF and the World Bank have examined the scope for state-contingent debt instruments for Caribbean sovereigns. “A note summarizing staff’s analysis has been circulated to conference participants. I am also told that draft term sheets from the International Capital Markets Association for various instrument structures are now available for interested sovereigns and investors,” she told the conference. What bull Mis Lagarde,what can small islands that you can barelly find on a map,do to change anything regarding climate change.We are the first ones to recieve the storms,that are generated 2000 miles away from us in the ocean,So we get the first impact with all the strength,we do not create the storm So after we get bashed,the storm gets into the Caribean sea and reloads,and lets go again in Florida or in any area of the Gulf.We are so small,with such small populations,we have no incidence,in all this.We dont have industrial factories,or oil refineries,to cause large emisions of contamination.If you could eliminate the Sahara desert in Africa then we wouldent have these storms in the Caribean,sounds kind of crazy,but its the reality.